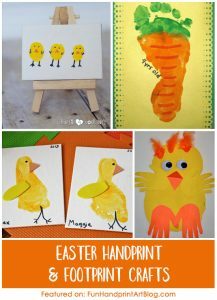 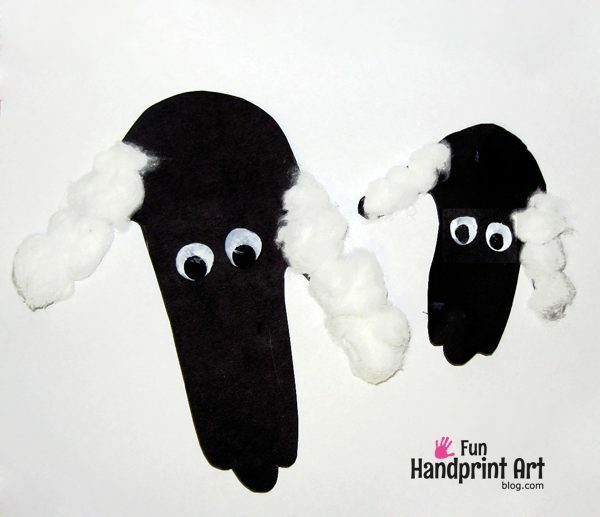 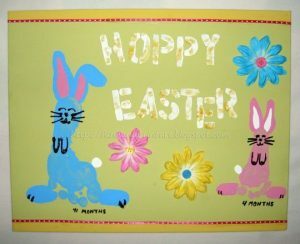 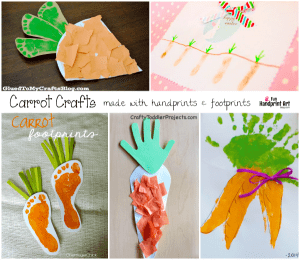 Here’s a fun mommy and me craft, make handprint lambs! 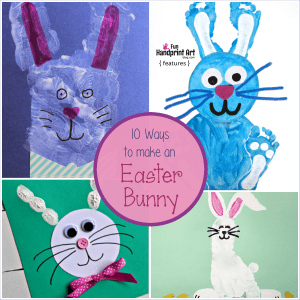 They are super easy to make and hardly take any time. 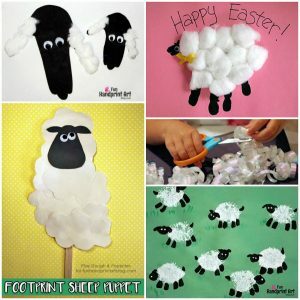 Make these lambs or sheep for Easter, Spring, or a farm preschool unit. 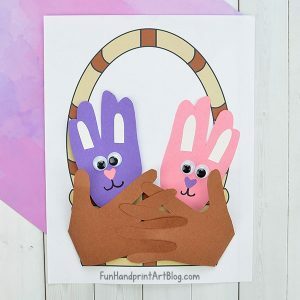 Place the hand with all the fingers touching onto black construction paper. 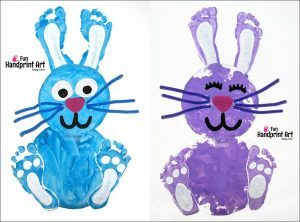 We traced one of my hands and one of my son’s. 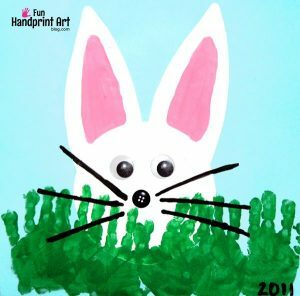 The white part of the eyes is made with our thumbprints and the black part is made using our pinky fingers. Finish by gluing cotton balls on all the ears. 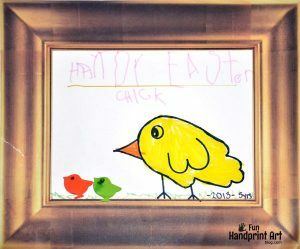 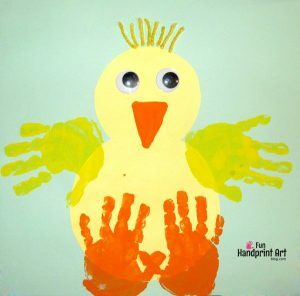 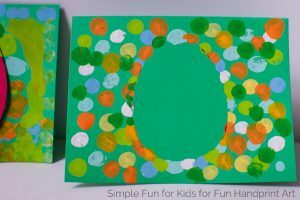 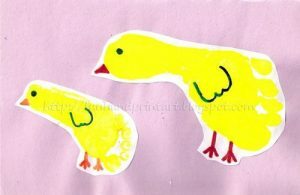 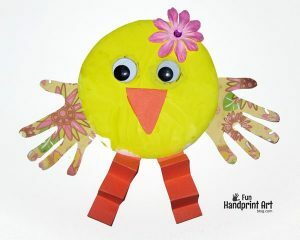 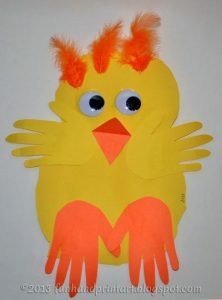 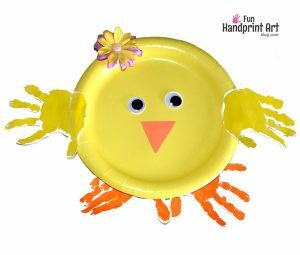 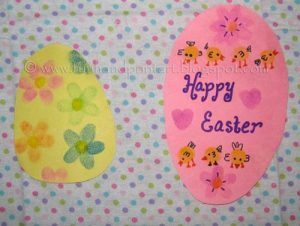 This craft was inspired by a similar idea in the book Hand-Shaped Art (affiliate/referral link). 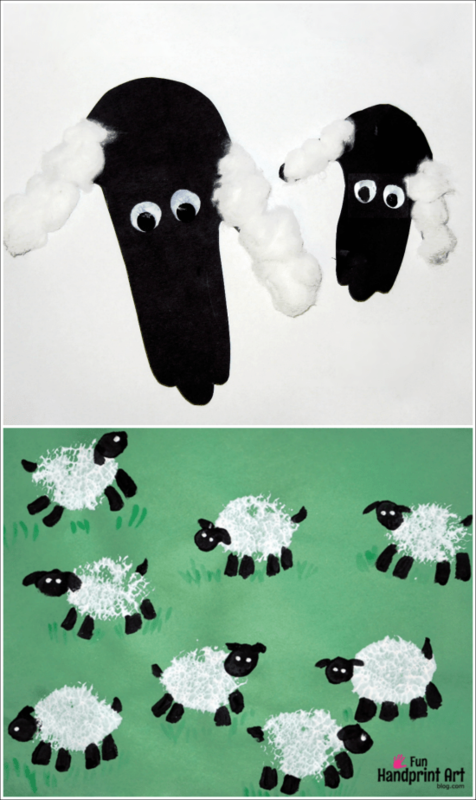 You may also like this stamped sheep craft! 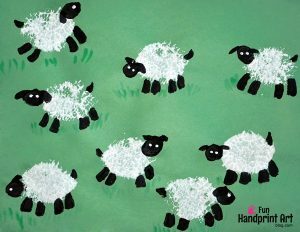 These lambs make me smile! 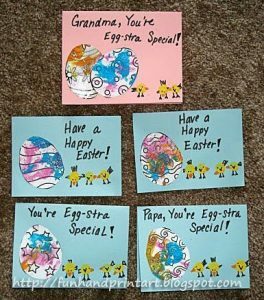 Very, very sweet. 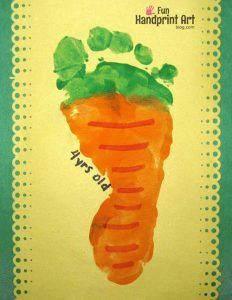 I found your link at Tot for Tuesday. 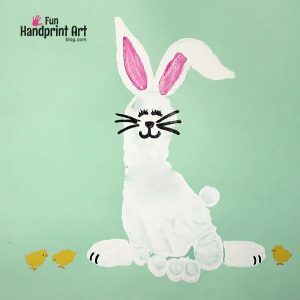 I love handprint art. 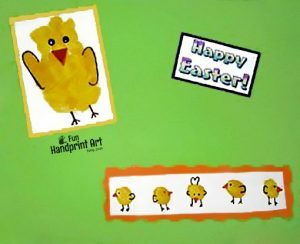 It is a wonderful way to celebrate holidays and your kids!